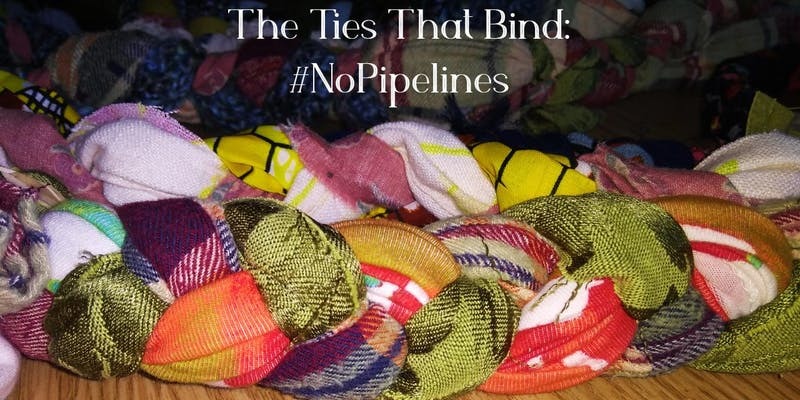 Join other concerned citizens to make fabric braids that will be woven together into a huge #NoPipelines fabric sculpture, “The Ties That Bind.” Come see your work displayed at the Staunton Innovation Hub in May. Ecoartist and poet Amelia L. Williams is coordinating community and environmental organizations, artists and concerned citizens to create a communally-made work in protest of the proposed Atlantic Coast Pipeline and Mountain Valley Pipeline. 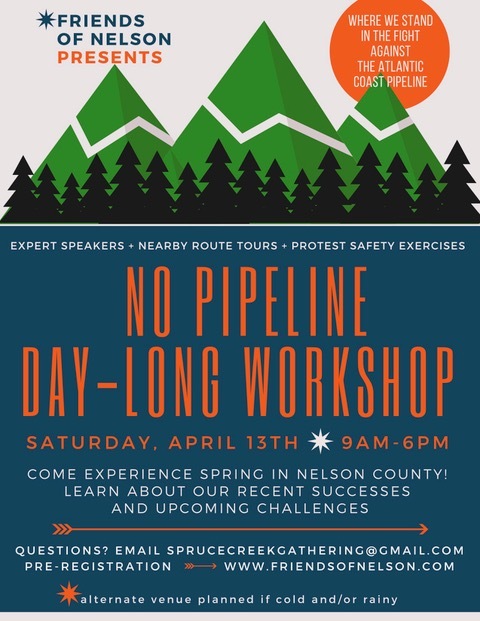 Come on March 30, 2019, either 9:30 am or 1:30 pm (two different locations in Nelson County – details of locations after free registration) to join in making long fabric braids, adding decorative elements, and words of protest, hope, and support. You are invited to bring fabric that comes from your life, tells a story, or is linked to your pipeline resistance. I love winter on the farm; this old scarf has seen me through some cold ones. May it help protect our land from the pipeline. I live in a city. The pipeline won’t be in my backyard, but I have learned how pipelines leak methane and make climate change worse, so I brought 3 green fabrics to show my care for the earth. I hike in the National Forest and don’t want the pipeline to cross the Appalachian Trail. I brought some old jeans and t-shirts I used to wear hiking. This is my son’s childhood twin bed set. The compressor station could affect children’s health and increase rates of asthma so I want to protect the children. I’m braiding old shirts and leaving the pockets accessible with “no pipelines” messages tucked inside. Register here. Exact address will be sent by email to free ticket holders. This entry was posted in Citizen Activism, Events, Songs and Stories on March 7, 2019 by Ellen Bouton. Now a resolution condemning the “assaults on the Atlantic Coast Pipeline” from citizen groups has been introduced in the West Virginia House of Delegates. House Resolution 11, introduced February 6 and just recently made public, is co-sponsored by 49-members of the 100-member House, including the Speaker. It was amazing in January that the legislature would think condemning opposition to Dominion was a valid legislative action, and it is just as amazing a month later. 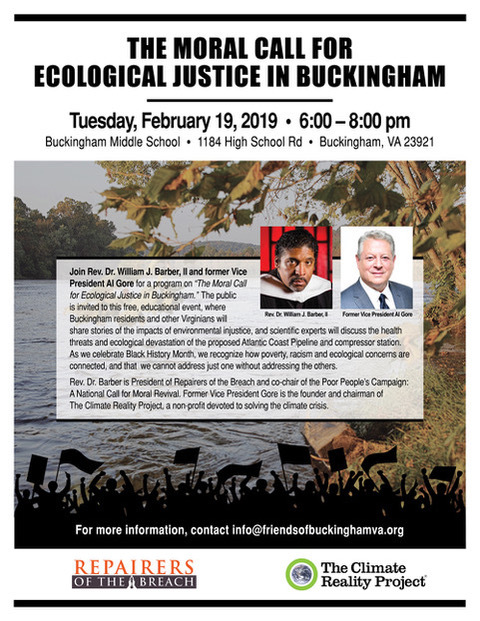 This entry was posted in Citizen Activism, Dominion, Legislation on February 16, 2019 by Ellen Bouton. Allowing FERC employees and Commissioners with demonstrated conflicts of interest, including financial, to work on project review and decision making for proposed pipeline projects. This entry was posted in Citizen Activism, FERC on February 11, 2019 by Ellen Bouton.